Today we are reviewing the Haypigs! 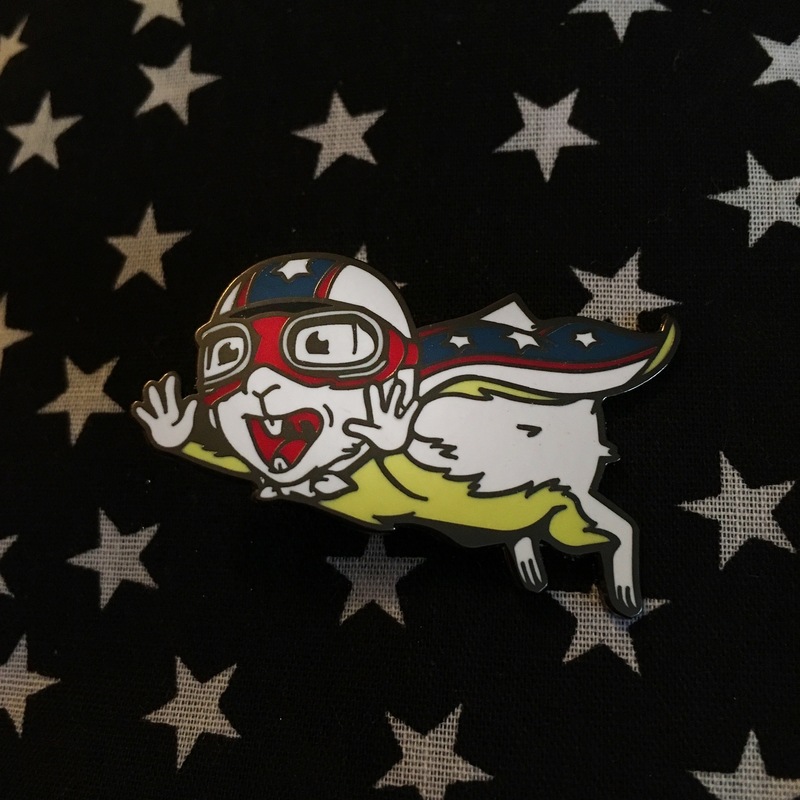 Cavy Cannonball Pin Badge. Haypigs! 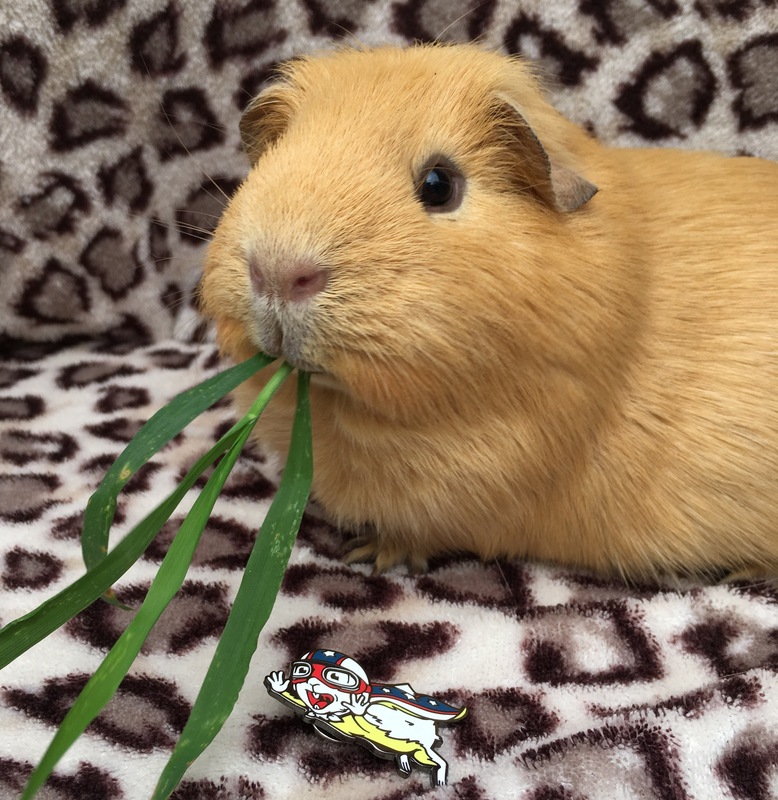 Cavy Cannonball Pin Badge. A limited edition enamel badge. Featuring the fearless Cavy Cannonball. Part of Haypigs! Guinea Pig Circus Vintage Range. Illustrated by artist Stephen Sharpe. (Qualifies for Haypigs! New Super Saver delivery option). 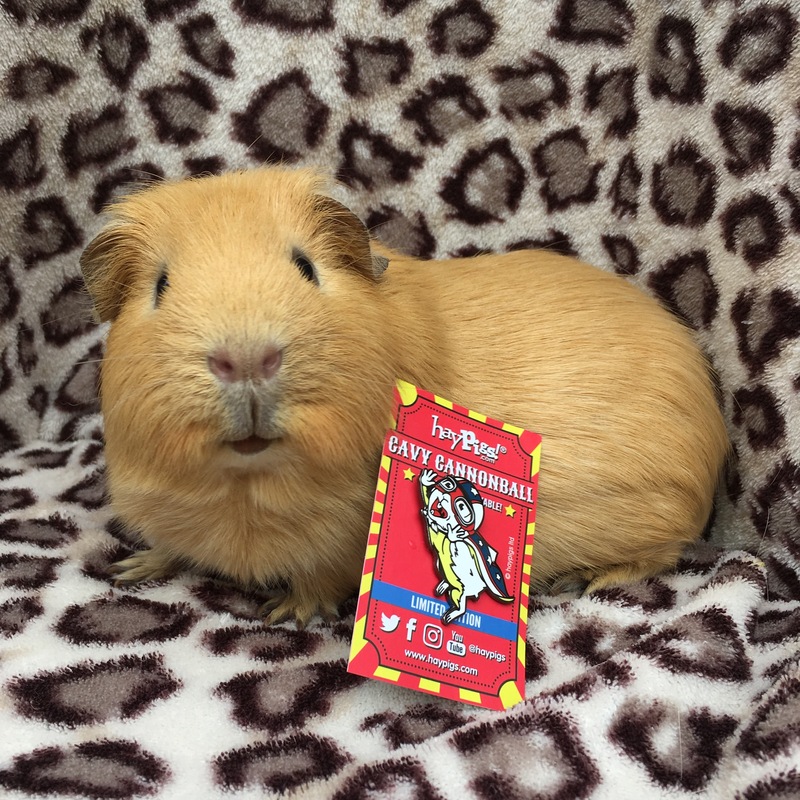 Featuring “fearless fluffball” Cavy Cannonball; this Haypigs! badge features the same vintage style as found on Haypigs! Mugs. Haypigs Mugs are also illustrated by Stephen Sharpe. The lines are bold and the colours are bright, all in all it’s a very striking design. Is it a bird? Is it a plant? No, it’s Cavy Cannonball! 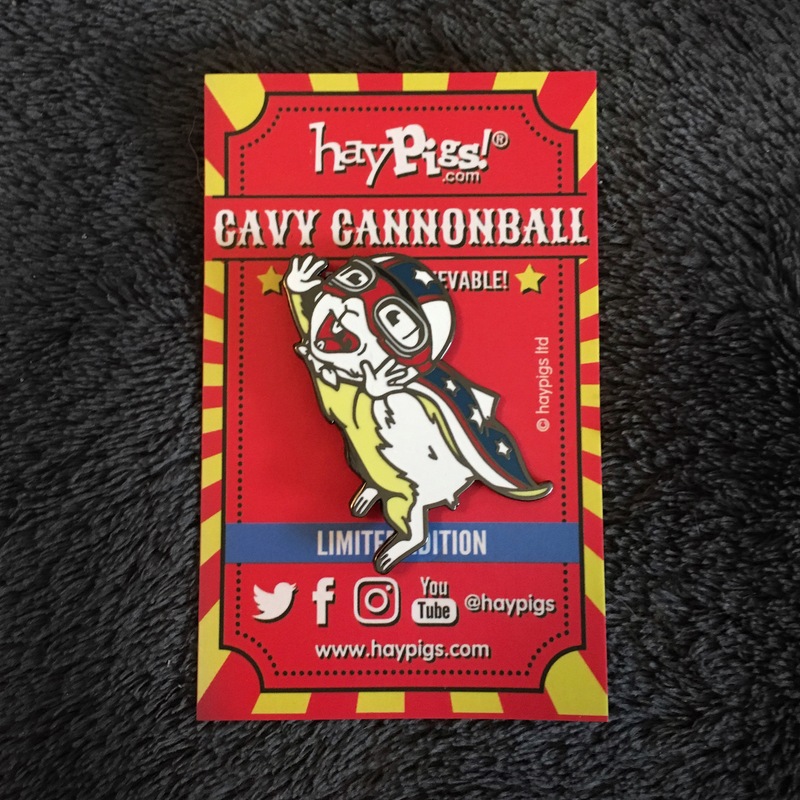 At 38mm the Cavy Cannonball Pin Badge is substantial without being over powering. 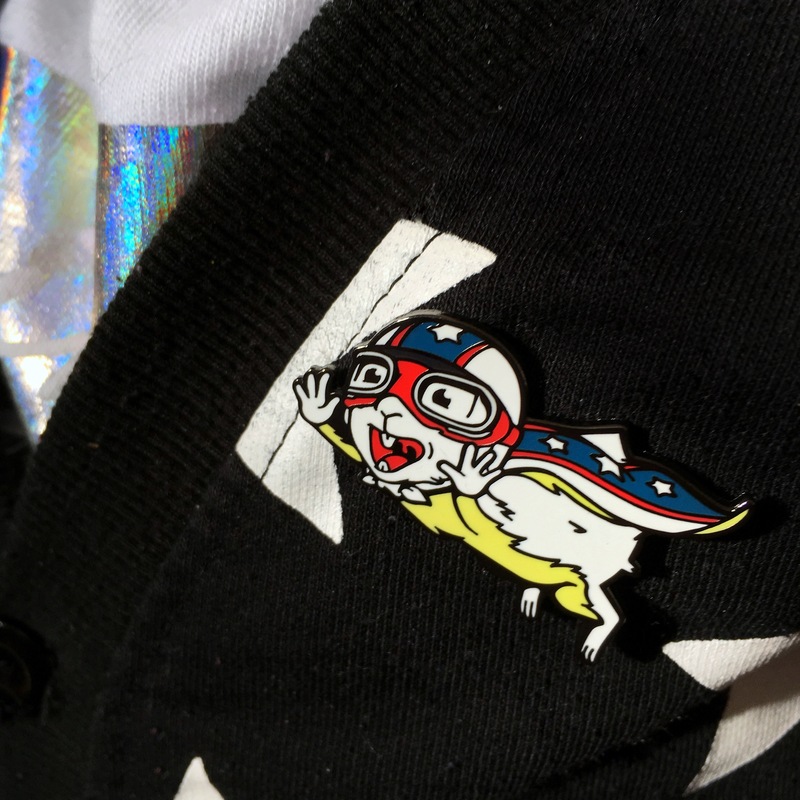 Cavy Cannonball looks equally good on a coat, bag or anywhere you want to pin him. The actual physical backing pin is strong and secure and holds the badge firmly in place. It’s nice to see Haypigs! 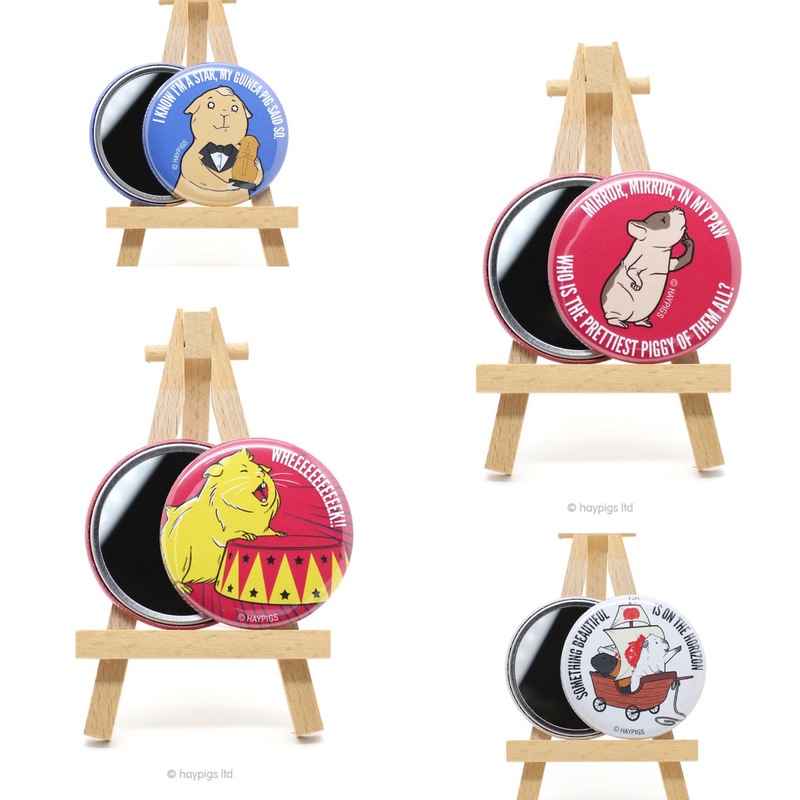 introduce their Super Saver Delivery for smaller items, do check out their website if you haven’t already, their new pocket mirrors look great fun. The Haypigs! Cavy Cannonball is bright bold and fun. A fun treat on its own or as a add on to a bigger Haypigs! order. Just ordered, this little guy is too cute not to purchase! Fabulous, he’s so full of character isn’t he? !